First-timers are being encouraged to take part in this year’s Colliers Bristol TRYathlon during which scores of professionals swim, cycle and run for charity. The event, now in its seventh year, includes a 400m indoor swim, 16km cycle and 5km run, with competitors entering either as individuals or in teams of three. While many of those taking part are seasoned competitors with a taste for adventure, this year the organisers are hoping to attract novices. 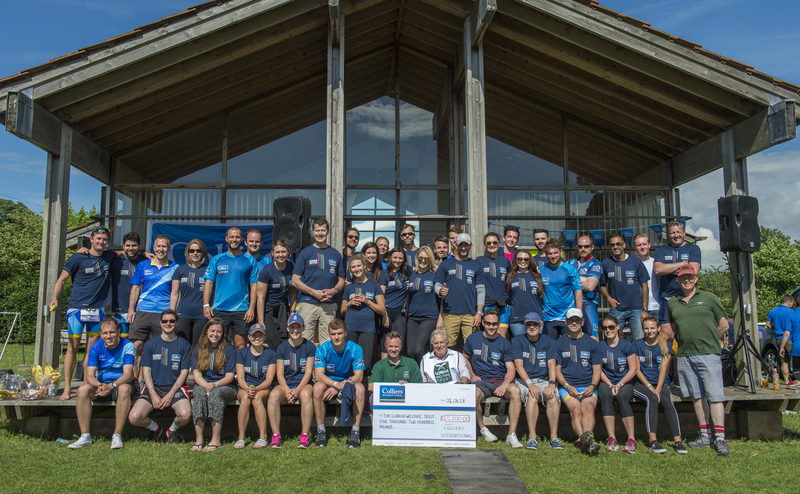 Colliers International building surveying & project management director Nick Williams said: “Our TRYathlon has always been hugely popular with professionals in Bristol and across the UK, but this year we would like to make it an even more inclusive affair. This year TRYathlon, organised by Colliers’ Bristol office, takes place at Tockington Manor School on May 31. The day will also feature live music, smoothies and a barbecue and participants are welcome to bring their families and friends along to watch them compete. Proceeds will go to the Malcolm Gunter Foundation, named after a prominent Bristol property professional who was diagnosed with Motor Neurone Disease in 2017 and who passed away the following year. The foundation – www.malcfoundation.co.uk – was set up to support Malcolm’s family and others in their situation, and to fund further research into the disease. Entry to the TRYathlon costs £90 for a relay team or £40 as an individual.